“However, flare-up of the fighting and conditions’ deterioration have led to cessation of these projects’ execution for which funds have been earmarked,” he said. 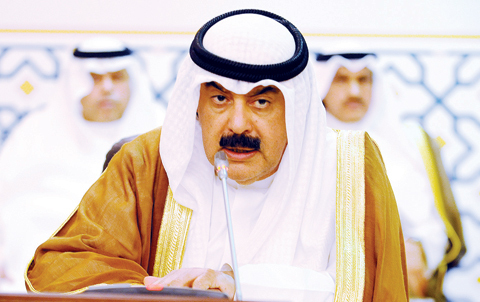 The Deputy Foreign Minister added that Kuwait will resume the humanitarian action once conditions have been stabilized for sake of contributing to the forecast reconstruction, as part of the international community efforts to rebuild the infrastructure and other facilities demolished in the conflict. Separately, Jarallah said that Kuwait anticipates no less than 1,000 companies and businesspersons will partake in Kuwait International Conference for Iraq Reconstruction and Development (KICIRD) due in the country on February 12-14. There will be broad participation in the conference by executives, companies and governments, Jarallah said in a statement to journalists on the sidelines of a seminar organized by Kuwait Chamber of Industry and Commerce. A large number of enterprises, envisaged as part of rebuilding Iraq, will be executed by the private sector and companies, he added. As to the conference timetable, he said January 12 would be devoted for social institutions, the second for the private sector and the past for declaring financial contributions by participating states. The conference, due to group donor countries, regional and international organizations, will be chaired by the European Union, Iraq, Kuwait, the United Nations and the World Bank (WB). In other news, Jarallah said that the Foreign Ministry seeks to promote Kuwaiti economic diplomacy that contributes to local economy and serves the State’s higher interest. Speaking to reporters on the sidelines of an economic symposium organized by the Kuwait Chamber of Commerce and Industry (KCCI), Jarallah said 110 Kuwaiti embassies have a clear-cut and definite agenda aiming at promoting Kuwaiti investments around the globe. He added that economic diplomacy, established by His Highness the Amir, is doing a significant role in the promotion of Kuwait’s overseas investments. He lauded the KCCI’s historical role and interaction with the society and state agencies. Jarallah also commended the KCCI’s patronage of the initiative provided by the Foreign Ministry to spotlight local investment prospects. Together with other state agencies, the Foreign Ministry is seeking to open investment vistas both at home and abroad. In the meantime, Jarallah met yesterday with the envoy of French President Pierre Dokan, who is visiting the country along with his accompanying delegation. During the meeting, the envoy delivered a written message addressed to His Highness the Amir Sheikh Sabah Al-Ahmad Al-Jaber Al-Sabah from the French President Emmanuel Macaron, including an invitation to His Highness to attend a conference in support of Lebanon scheduled for early April.